Los Angeles, CA – June 22, 2017 – Singer-songwriter Lanita Smith is building bridges of unity with her latest video for Love Can Do out on YouTube now! The Grammy Next Artist has been hard at work on her debut album Remember Me due out later this year when she was approached by Los Angeles dancer and choreographer, Liezel Marie about creating a concept video around her pop-fueled track. The single, written by Lanita, and songwriter Casey Kalmenson, is an uplifting pop song that inspired Liezel, who has choreographed for the Los Angeles WNBA Sparks, Anime Impulse, and many more, to gather her fellow dancers from Project LaVaude, and come up with a vision that empowers our unique differences and celebrates the importance of culture, while coming together in Peace & Love. 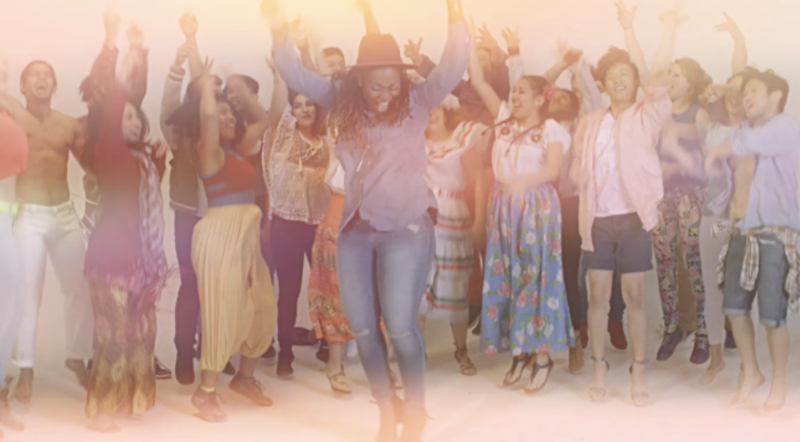 The music video shot at Dream Magic Studios in Canoga Park, California and produced by Wise Owl Media Group, features Lanita with more than 50 dancers and actors from around Los Angeles. The start of the video is dark, a place where everyone is masked, stuck in a routine, and unaware. As the song builds so does the powerful dancing as the image of various people of all genders, ages, and backgrounds begin unmasking their insecurities to find themselves bringing joy to others around them. This is the greatest performance on America’s Got Talent you’ve ever seen!